Fox Brook is a brand offshoot of Bronco wines in Ceres, California. The brands are owned by the Franzia family, relatives of California wine legend Ernest Gallo. 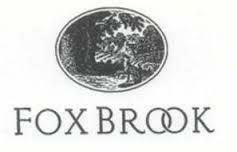 Fox Brook is a popular line of value-driven California wines that include Cabernet Sauvignon, Chardonnay, Merlot, White Zinfandel and a non-vintage Sweet Red blend.